Fun Fact: When Frank Leslie died in 1880, his debts amounted to $300,000. His wife, Miriam Leslie, took the business in hand and put it on a paying basis. She even went so far as to have her name legally changed to Frank Leslie in June, 1881. She also was a notable feminist and author in her own right. She dies September 18, 1914 in New York City. 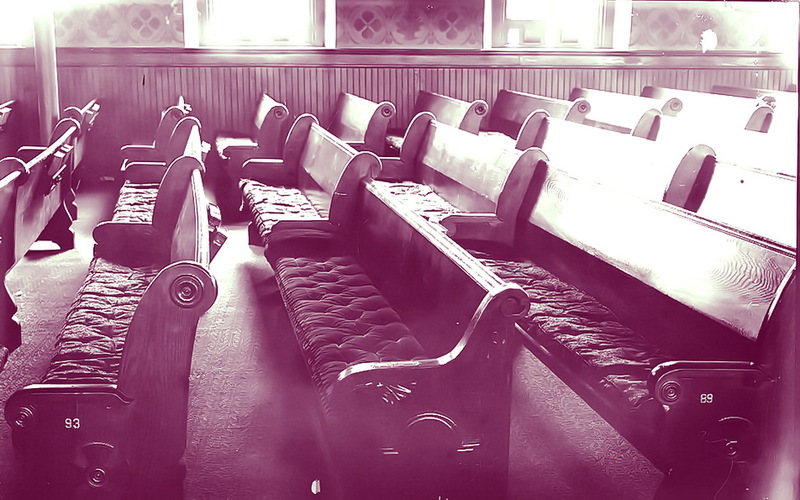 The celebration of a bi-centennial by a church has been an event that has only been observed by a few congregations in America since its discovery. 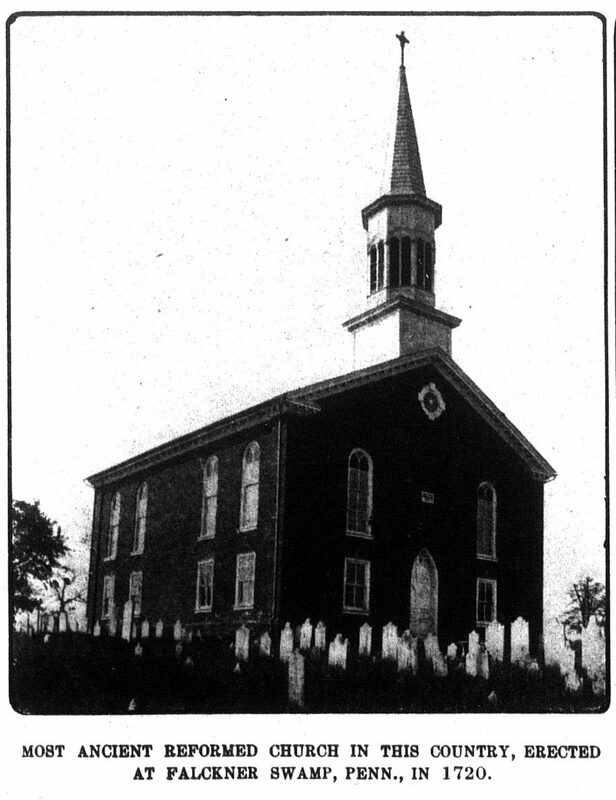 The Falckner Swamp Lutheran Congregation, at New Hanover, Penn., celebrated on November 28th and 29th last, the two hundredth anniversary of its existence as a congregation, being the oldest Lutheran congregation in the Western World, worshiping in the oldest Lutheran church in America. Lutheranism in America dates back to June 24th, 1694, when the first Lutheran services were conducted in Germantown, Penn., by Henrich Bernhard Koster. Other Lutherans soon crossed the Atlantic, and in 1700 the Rev. Daniel Falckner brought a little band of Germans from Langon-Reinsdorf, Saxony, who settled in the Falckner Swamp region, the region being named after the leader of the little army of Germans. The congregation was organized in 1703, and it formed the nucleus of the church in North America, which now has 9,000,000 members. 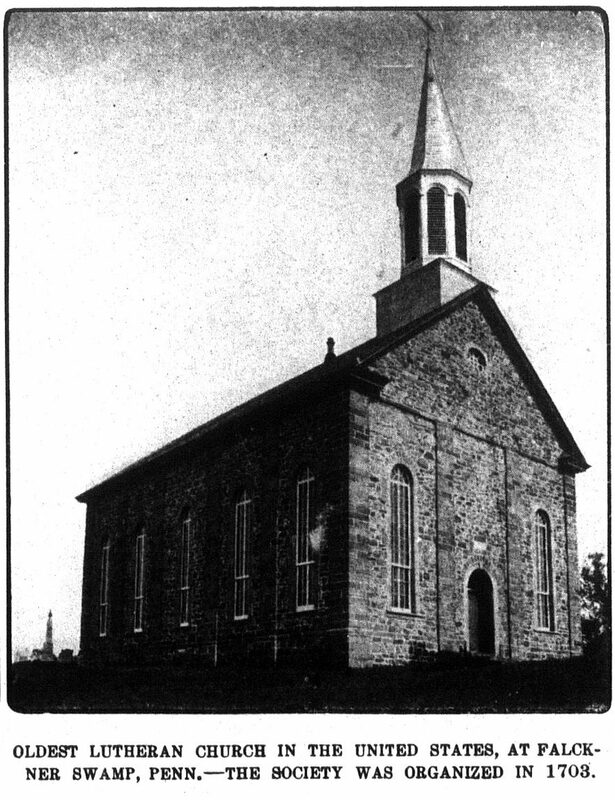 In 1742 Henry Melchior Muhlenberg, who is known to all Lutherans in America, became the pastor of the congregation, and later Frederick Augustus Muhlenberg served as pastor of this church, afterward being elected to Congress, where he soon became a potent factor in the affairs of the nation. There is no other church in America to-day whose history is more interesting. The first two structures in which the Rev. Mr. Falckner preached were built of logs, the first being built about 1707 or 1709, the second in 1721. The third, the present edifice, though remodeled, was built in 1767, of brown sandstone with a brick floor, the brick floor serving until 1825, when a wooden floor was inserted. No stoves were used prior to 1825, and the congregation often worshiped in the building when the thermometer was at zero. In 1867, a century after the first stone church was built, the church was remodeled, and again in 1886, but it still retains the original stones of the church of 1767 and much of the lumber. Eminent pulpit orators of the Lutheran faith from all over America took part at the bi-centennial celebration. Within a stone’s throw of this Lutheran church stands the oldest Reformed Church in America, erected in 1720. Both churches were used as hospitals for American soldiers during the war of the Revolution. Near the Reformed Church is situated the parsonage, the oldest house in eastern Pennsylvania, where the late Governor Hartranft, who was a general in the Federal army during the Civil War, was born. This historic spot is called the cradle of Lutheran and Reformed religion in America.